Career Day this year will be held on Wednesday, May 15, 2019. We are looking for speakers/parents to visit classrooms and share their expertise about their career and educational background. JBPHH Water Use ALERT! JBPHH UPDATE 2 p.m. .... The broken water line leak has been isolated and water service/pressure has been restored to the entire Joint Base via an alternate path. Consumers should notice a rise in water pressure throughout the afternoon, evening, and overnight as Navy water storage tanks are re-filled to capacity. However, despite water service restoration, JBPHH will REMAIN on water conservation measures until the water line break is completely repaired which could be a week or more. Please know the water remains safe to drink! One local elementary is helping newly arrived students from military families adjust into their new community. Please note that we are doing four feeding times, as opposed to the staggered 10-15 minutes. Please view our letter in regards to Hickam Elementary being a nut free campus. There is also a list that contains alternate nut free snacks and spreads. Thank you for your cooperation. Includes regulations on bicycle use while on JBPHH. 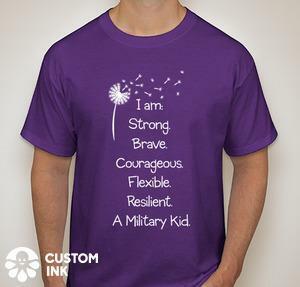 A flyer went home earlier this week allowing parents to order an optional designed t-shirt for Purple Up Day. Attached is the the digital flyer with the links. School closure due to water main break - 2/28/2019. 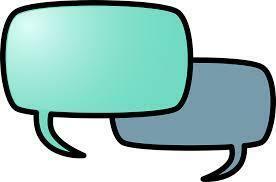 Updates for Friday will be posted and sent as text messages via School Messenger later today. JBPHH water main break has closed Hickam, Mokulele, Pearl Harbor Kai Elementary Schools at approx. 11:00 a.m. today. Repairs are underway. Updates for Friday school schedules will be posted to school websites and sent as text messages via School Messenger later today. Thank you for your patience and cooperation.